As companies strive to differentiate themselves in today’s competitive marketplace, savvy engineers are finding help from their transformers and power supplies. Custom transformers and power supplies can often help manufacturers to extend their warranties — thus helping them to gain a competitive advantage. Standex Electronics addresses these needs with robust designs and ancillary services. If the application requires a basic coil transformer we can supply that. We also add leads and wiring harnesses to simplify installation and hook up if. Have other components that need to work together? We can produce upstream and downstream components — then assemble and test them to ensure efficacy. Additional services such as over-molding and potting ensure proper form fit and function and protect these robust designs from the environmental factors — providing years of trouble free services (well beyond your stated warranty period). As companies combine multiple HVAC components which are centrally controlled, the need for custom transformers is apparent. 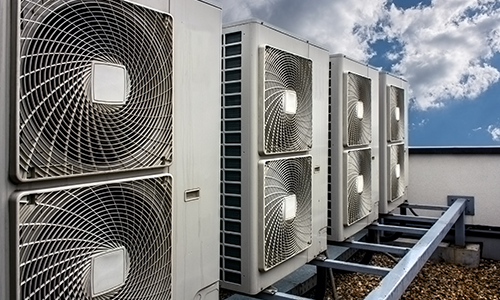 One company utilizes a condenser and an evaporator both of which are controlled by a central control system. All three of these components have diverse current requirements which are supplied by a single Standex Electronics custom transformer. Does your demanding HVAC/R application have you steamed? Then call Standex Electronics — we’ll help you keep your cool!